It’s unbelievable how far we’ve come. 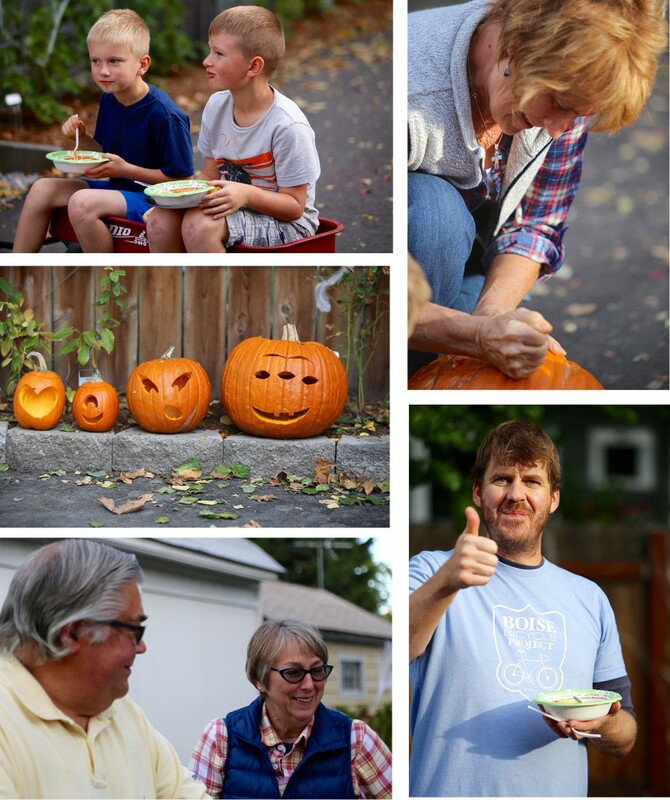 It was this time last year when we had our first event in the plaza – a chili cook-off and pumpkin carving. Neighbors timidly came out with their crock pots. Still mostly strangers, it took a little coaxing to get the pumpkin carving going. People mingled and had fun, but there felt like there was a bit of a formality in the air. Boy have we come a long ways. 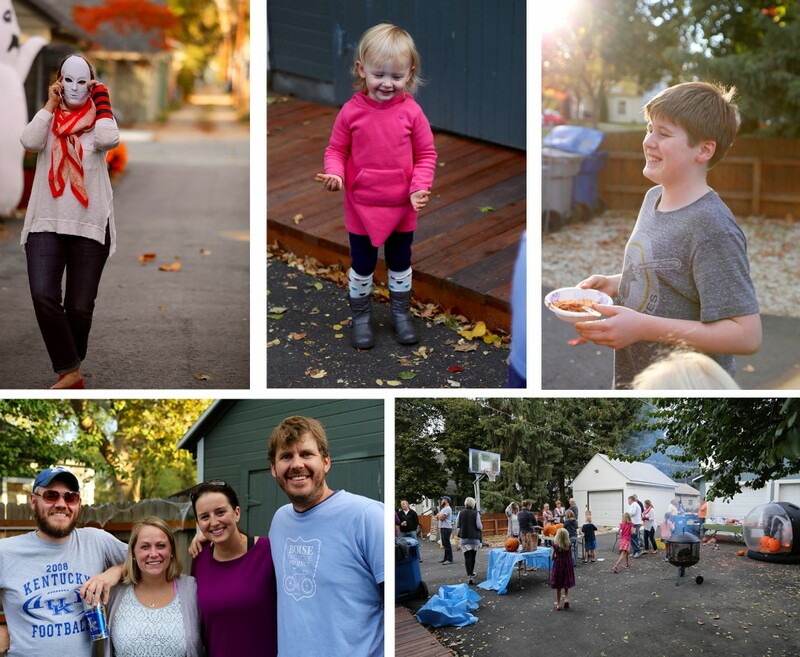 It’s not Halloween – it’s Alleyween – when it’s done SNOW Block style! When we were planning the alley, resident Julianne Bronner said, “When it comes to Halloween, I’ve got this.” She wasn’t joking. Not only was her decorations collection vast enough to practically spookify the entire alley, but she and her family did most of the decorating. All of this with a broken wrist. I can’t imagine the whirlwind she would have been if she’d had two good hands! And there was certainly no timidity this year. Neighbors were texting each other in eager anticipation, making sure we had plenty of tables and bowls and wine. One table turned to two turned to three to hold six pots of chili, cookies, chips, and other goodies. I’m not even sure how many pumpkins were carved. Kids and adults were all hands on. Our sponsor FarWest Landscape & Garden Center came through for us again, generously donating some of the pumpkins. Even the pets got in on the action. It was a perfect fall day spent spent with friends, whom just happen to be our neighbors. Halloween night we put signs on our front doors and encouraged the trick or treaters to come enjoy the alley. I would guesstimate that we had at least 300 people come through. There was four stations handing out candy, fog machines, strobe lights, a burn barrel and even an adult trick or treat table with beer and wine. A neighbor from a different block showed up carrying a stack of hot pizzas. 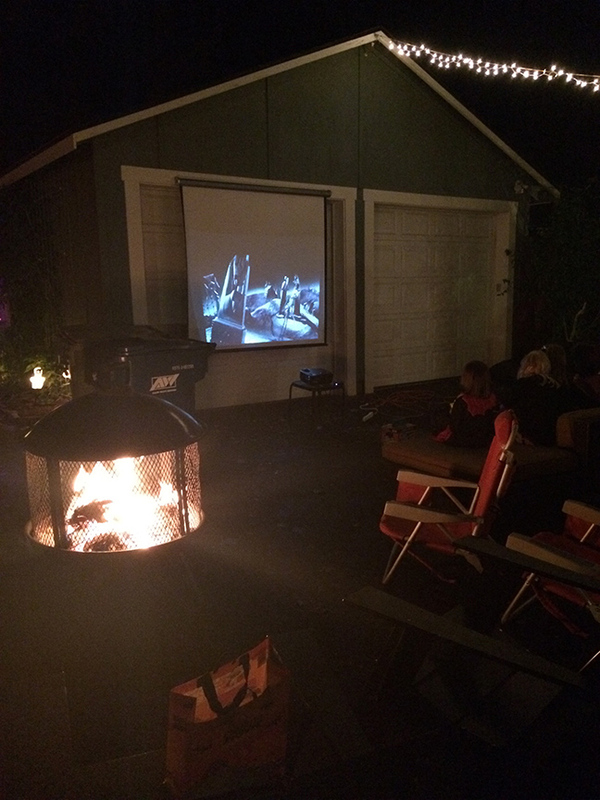 People hung out huddled around the fire, laughing and telling stories late into the evening. Nice article!. It was fun and very special to be there. At the airport a couple were talking about SNOW alley, near the man, who lived on 12th st.!. We told them to definitely go visit! That’s awesome Sandy! And it was great to meet you. Hopefully you saw all the photos on Facebook as there’s more there and a very nice one of you and Amelia. Hope you have a wonderful day!